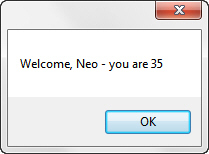 This exercise asks you to create a NumericUpDown control to ensure someone's age is filled in as an integer. 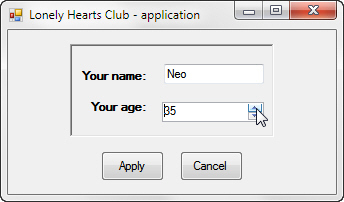 First add the form called frmNewHeart from the folder above into your project (or use a version you already have). When everything's working OK, close down this form.